The compact utility vehicle — or CUV — category is one of the fastest growing areas of the auto industry. CUV buyers typically look for vehicles that are fuel-efficient, have an all-wheel drive option, and are able to carry more gear than a typical midsize sedan. We compared the 2016 Kia Soul vs 2016 Nissan Juke, two of the most unique crossovers on the market. The 2016 Kia Soul isn’t quite a hatchback, and it’s not quite a wagon. 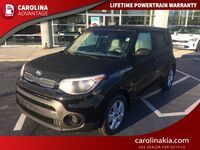 With a much larger cargo volume and space for passengers, it’s easy to see why the Soul is a better choice for a family or individuals hoping to carry a little extra gear in their vehicle. Get behind the wheel of the 2016 Kia Soul and see how much fun this compact crossover vehicle is to drive! 24.2 cu.ft. Cargo Capacity 10.5 cu.ft. 101.0 cu.ft. Passenger Space 86.7 cu.ft. Not all vehicles are equal. 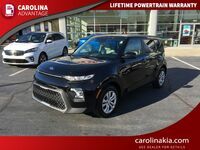 After we see some of the differences between the 2016 Kia Soul and the 2016 Nissan Juke, it’s evident to see why the Kia Soul would be a favorite for folks who desire versatility. 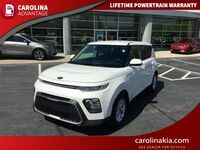 The Kia Soul has 11 different body color options and unique features like speaker lights and one-of-a-kind interior color choices. It’s tough to actually define the Soul, but we think you can boil it down in two words: unique and practical. The 2016 Kia Soul can fit five passengers and features three trim levels: base, +(Plus) and !(Exclaim). Standard on the base model are 16-inch alloy wheels, full power accessories, rear privacy glass, air-conditioning, driver-selectable steering wheel settings, cloth upholstery, 60/4-split folding rear seatbacks, Bluetooth phone and audio connectivity, and much more! Drivers are able to add a variety of package options to the Soul lineup, to add even more versatility to the crossover. The 2016 Soul remains to be one of the most versatile vehicles in the Kia lineup, offering up to an estimated 30 mpg on the highway with a 2.0-liter four-cylinder engine. 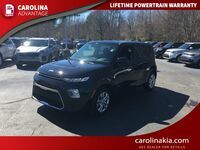 We’d encourage you stop into Carolina Kia of High Point to see what the Kia Soul is really all about!